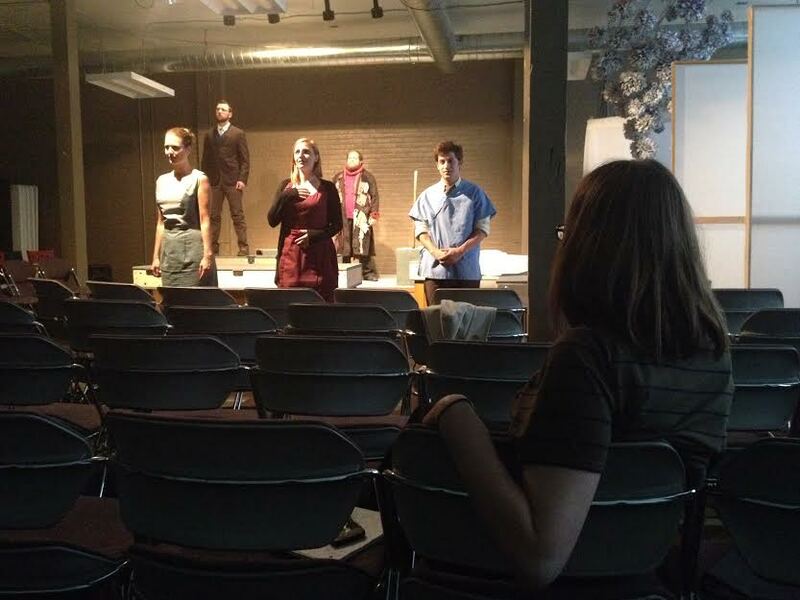 Working on New Eden at Seven Devils Playwrights Conference, Photo by Sarah Jessup, 2014. 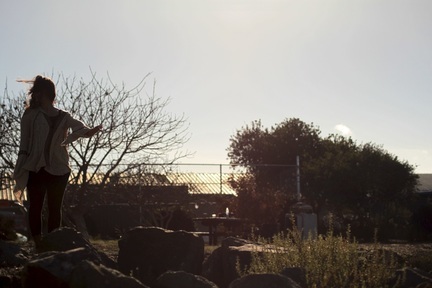 Creating The Toxic Edge and The Precipice of Memory at CIIS, Photo Shannon O'Neill-Creighton, 2015. DIRT rehearsals for HomeGrown Theatre, Photo by Frankie Barnhill, 2014. Photo by Dan Allers, 2012. Several titles available to members of New Play Exchange Network. 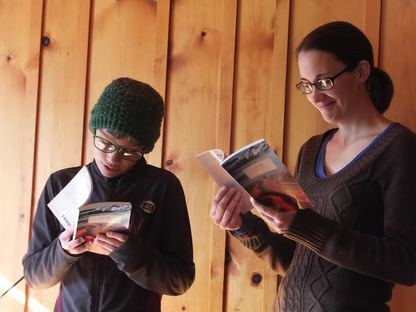 Sharing a student's published play with the world at The Cabin, Photo by Melanie Flitton Folwell, 2013. 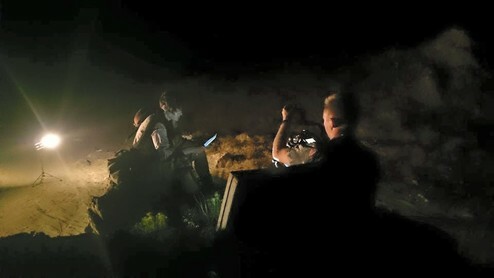 Filming of Poor Monster, Photo by Kyle Daniel Barrow, 2015.